In cocktail shaker, add all ingredients except sprinkles. Shake until cold. Dip rim of martini glass into water then into sprinkles. 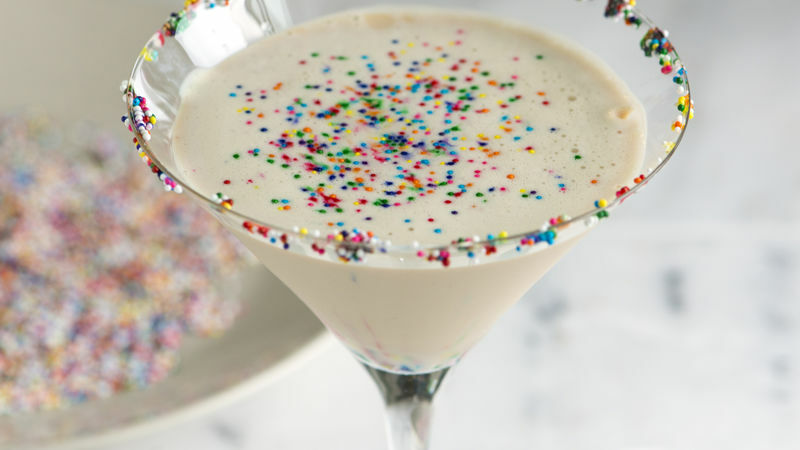 Pour martini into glass; top with more sprinkles. Serve alongside warm sugar cookies. Instead of sprinkles, use crushed cookies for the glass rim.